Honda? 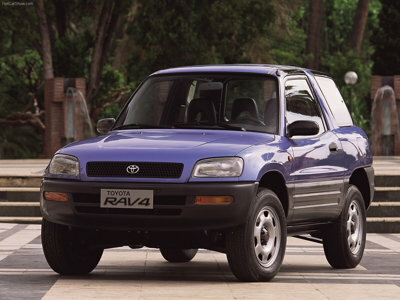 no, The first crossover, as we know the breed, was the 1996 Toyota RAV-4, a two- and four-door wagon based on the underpinnings of the compact Celica sport coupe. It ignited a revolution by departing from the prevailing truck-type, body-on-frame construction for a car-style, unibody design. Toyota described the newcomer as “combining passenger-car elements with features of a light, off-road vehicle.” That’s a definition that is still relevant today. Old-school SUVs are still around, but the fuel-efficiency of its younger brother has all but displaced the heavier, thirstier, less wieldy forbearer. For model-year 2015, U.S. buyers can choose from roughly 80 different crossovers, compared with just 17 traditional SUV nameplates. Sales dwarf those of SUVs and they’re accelerating, expanding at double the rate of the 6-percent growth enjoyed by the domestic auto industry in 2014. These family movers of course come in a wide range of sizes and styles, prices and purposes. What they have in common is an appeal as alternatives to common transportation. First, they offer a degree of mobility not found in cars — and they do it without the bulk of an SUV. 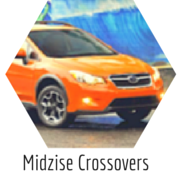 Crossovers have a higher seating position than cars for a more commanding view of the road. A corollary is additional ground clearance and the option of all-wheel drive for better footing in a range of conditions. Some, like the Jeep Grand Cherokee and Cherokee and various Range Rover and Land Rover models, offer advanced traction systems enabling them to conquer rugged terrain therefore accessible only to off-road-outfitted SUVs. Comparing the extremely popular Honda CR-V with the compact car it’s based on, the Honda Civic sedan, reveals they are the same length but that the CR-V has more passenger room and far more cargo volume: 35.2 cubic feet behind the rear seat and 70.9 with the rear seat folded, versus the sedan’s 12.5-cubic-foot trunk. Starting at $24,200 with front-wheel drive and $25,540 with all-wheel drive (AWD), the LX version costs about $4,000 more ($5,400 more with AWD) than the LX version of the car. (Base prices we list include the manufacturer’s destination fee, usually around $850). But the CR-V has 185 horsepower to the Civic’s 143 and its gas mileage is among the best in its class, at 29 mpg combined city-highway with front-drive and 28 with AWD. That’s within spitting distance of the Civic’s 33 mpg combined. More revealing is how crossovers compare with SUVs of similar size. 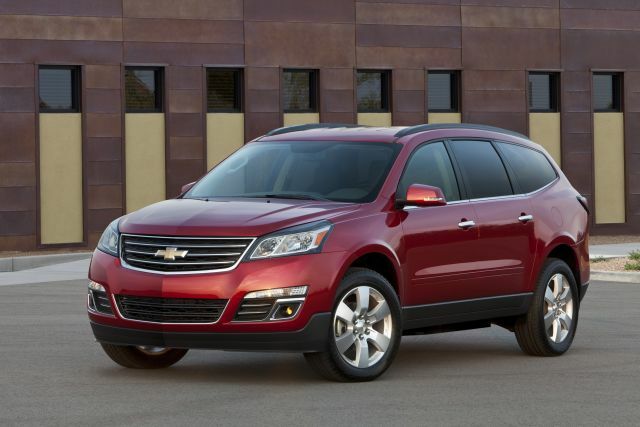 The Chevrolet Traverse is one of the best family vehicles of its size. The Chevrolet Tahoe is America’s best-selling body-on-frame SUV. They’re virtually the same length bumper-to-bumper, though the Tahoe is a couple inches wider and 4.5 inches taller. With four-wheel drive, it weighs 704 pounds more than the AWD Traverse, tipping the scales at 5,545 pounds. True to its role, the Tahoe has a 355-horsepower V-8, is better off road, can pull an 8,300-pound trailer, and pretty much drives like a truck, albeit a quiet one. Base price is $54,950 in popular LT trim. 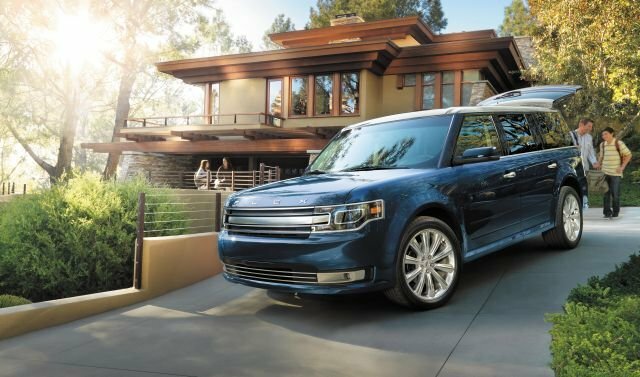 But the space-efficiency of the unibody design gives it some critical family-friendly advantages over the body-on-frame design. Both can accommodate up to eight passengers. You’ll have slightly more headroom and legroom in the Tahoe’s first and second seating rows, though Traverse is still very spacious in these rows. Where it pulls away from Tahoe is in third-row accommodations, its 8.4 additional inches of legroom the difference between a compartment uncomfortable for even middle- schoolers and one that transports adults in reasonable comfort. Cargo volume is another Traverse edge. It has 24.4 cubic feet behind its third row to Tahoe’s 15.9. Folding the third row nets 70.3 cubic feet in the Traverse, 51.7 in the Tahoe, and dropping the second and third rows opens 116.4 cubic feet to 94.7 for the truck-based Tahoe. 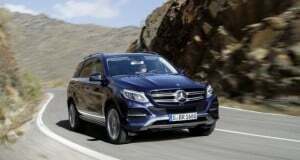 Traverse is a fine value, but our vote for best large offering in this category goes to the similarly sized Mercedes-Benz GL-Class, a refined 7-seater we salute for its variety of engine choices. We’re partial to the GL350, which has a turbodiesel V-6 with 455 pound-feet of torque – and happens to be the least expensive model. The Mercedes has lots of competition for title of best luxury crossover. , including the Range Rover and Audi’s redesigned Q7. Porsche’s just-introduced compact Macan is a candidate for both the best small luxury vehicle in the class and, with road manners honed by the German sports-car maker and a choice of 340 or 400 horsepower, it’s the enthusiast’s pick as the world’s best AWD version of automobiles, period. Superlatives certainly aren’t confined to these upper-crust entries. 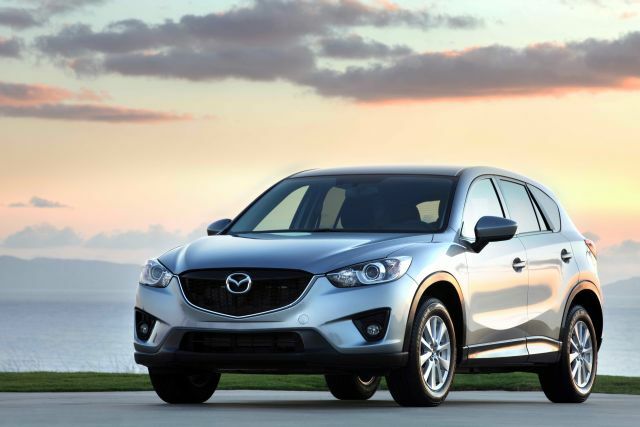 Any discussion of the best 2015 crossovers would include the Mazda CX-5, a dazzling handler also in the running for best looking. Honda is frontrunner when it comes to the most reliable.. 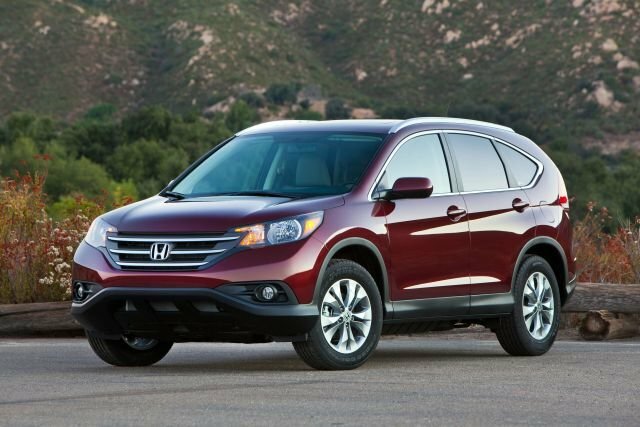 The CR-V tops the compact class and the Crosstour the midsize class in influential J.D. Power ownership surveys of dependability. Another top crossover by any measure, the RDX from Honda’s premium Acura brand, is No. 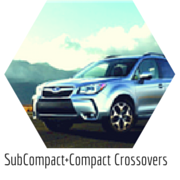 1 for dependability among premium compact versions. J.D. Power’s best rated crossover in the midsize premium category is the Lexus RX. Looking for the best gas mileage? Your search leads to the growing hybrid niche, with the front-drive version of the recently introduced Lexus NX 300h premium compact leading all sport-utilities with an EPA rating of 33 mpg combined city-highway. If you want the best fuel economy with AWD, go for the Subaru XV Crosstrek Hybrid, rated 31 mpg combined. 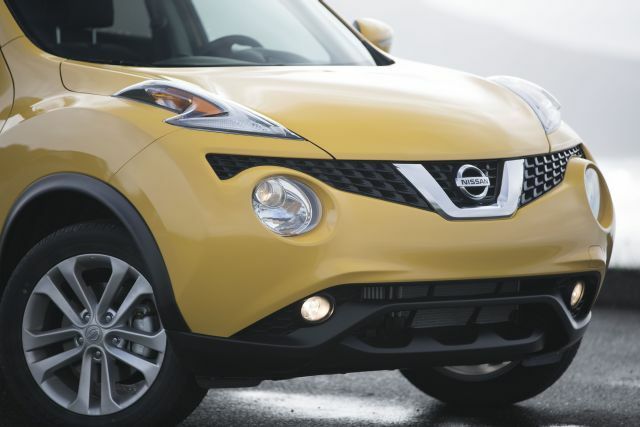 A slew of non-hybrid subcompact- and compact-class entries rates 29-30 mpg combined, including versions of the CX-5, Mini Cooper Countryman, and Nissan Juke. 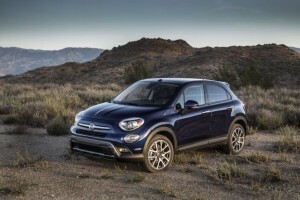 (Ratings for the newest wave of subcompacts such as the Fiat 500X and Mazda CX-3, were not released in time for this report). If you’re goal is high mileage but with a growing family in mind, look to the Toyota Highlander Hybrid. It carries eight in a tidy midsize package, has a surprisingly sprightly four-cylinder-gas-engine/electric motor powertrain, and rates 28 mpg combined – with standard AWD. One way to identify the safest is through the battery of crash testing conducted by the Insurance Institute for Highway Safety, an insurance-industry-sponsored research group. To earn the IIHS’s highest rating for crashworthiness, called Top Safety Pick+, a vehicle must achieve maximum scores in front-, side-, roof-strength and head-restraint tests, plus excel in tests that measure occupant protection in front-corner collisions with oncoming vehicles and stationary objects. 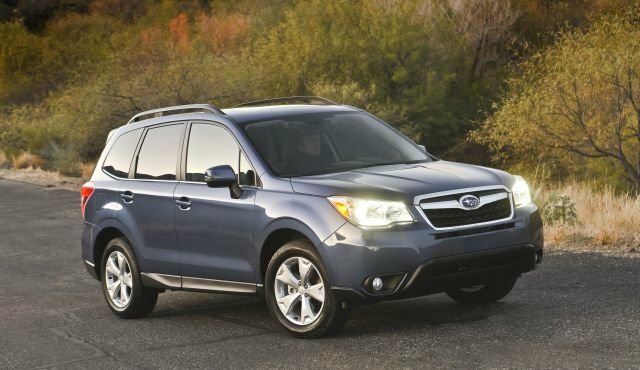 Top Safety Pick+ awards for 2015 in the compact class went to the CR-V, CX-5, Mitsubishi Outlander (with optional front-collision mitigation), and to one of our nominees for best value overall, the Subaru Forester (with the optional EyeSight driver assist system that includes pre-collision braking). The best midsize-crossover 2015 performer in IIHS testing is the Toyota Highlander equipped with the pre-collision system that’s standard on the flagship Limited Platinum trim and optional on the Limited model. 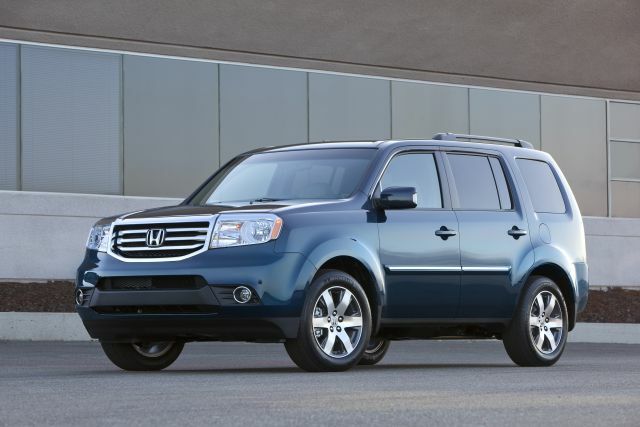 The final category in the IIHS’s safest crossover SUV rankings, “midsize luxury,” contains four Top Safety Pick+ winners. They are the Volvo XC60 and, with optional front crash-protection systems, the Acura MDX, Lexus NX, and Mercedes-Benz M-Class. Flex is an acquired taste. 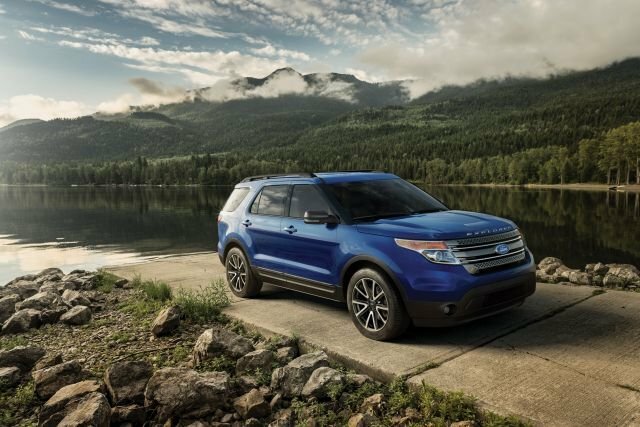 Should Ford’s low-slung SUV alternative be on your 2016 crossover menu?